My first Life is Messy, God is Good Interview, with my friend Mihaela. I was extremely blessed to have the opportunity to interview Mihaela. She is a woman that radiates joy. I am humbled by the amazing attitude she has about life. Most of you know that I wrestle with bitterness and here is a woman that reflects on hard times without the slightest hint of bitterness. Instead, she brightens up at the opportunity to share the struggles she has been through because it was in those times that she saw Jesus most clearly. But Mihaela is different. When you listen to her story and sense the peace and joy she has, you can’t help but see a miracle in her. She grew up in Romania in a traditional Greek Orthodox home. In the strict, traditional culture of Romania, women were expected to stay in marriage no matter what. Therefore, problems remained hidden and healing was hard to find. For many years, Mihaela’s father battled alcoholism and her mother paid the price. Neither of Mihaela’s parents got the help they needed because of the cultural silence around problems of addiction and abuse. But God was at work! And, eventually, Mihaela’s father got help and became a loving husband and father. Mihaela began seeing dark, evil spirits in her room at night. It was a terrifying time for her and she longed for freedom but did not know where to turn. She believed in God from her past, but did not know how to reach out to him. Thankfully, he reached out to her. One night in her bedroom, she saw the demons that she had been seeing, but she also saw what she can only describe as “a ball of light” and she knew it was God. She knew he was stronger and he drove out the darkness and she never saw the demons again. Mihaela had found the peace that she was looking for, but her life was far from easy. She was living with a man who she graciously describes as simply, “not good for her”. She knew that she needed to end this relationship. However, when she told him that she wanted to break up with him, he did not take it well. He told her he wouldn’t allow her to leave him. He began keeping her locked in their apartment. As a Romanian in a strange country, she was extremely vulnerable and isolated during this time. One day, when she was alone in the apartment, she decided to look in the Yellow pages to find the number for an organization that helped Romanians. This call would be the call that helped her find her freedom in more ways than one. When she called, they connected her with a Romanian who worked there. This man, turned out to be a courageous Christian who invited Mihaela and her boyfriend to a local church. When Mihaela went to this church with this boyfriend who was keeping her locked in the apartment, her new Romanian friend gave her a Bible and she began reading it for the first time. One day, when she was home alone, she felt prompted to read her Bible and she turned to Acts 12, the story of Peter being miraculously freed from prison. She knew that somehow, God was going to work things out for her to be freed. Her ex-boyfriend continued to stalk her. He even threw a stone through the window of the house where she was staying. The stone landed close to the young daughter who was playing on the floor. Mihaela was frightened for her friends and told them that she would find another place to stay in order to keep this family safe. They trusted God for their safety and told Mihaela they would not let this man dictate who could stay in their house. So, she continued to stay with them. 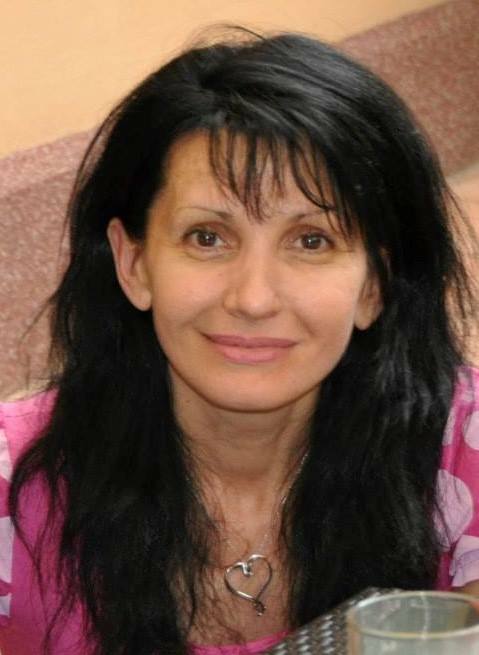 During this time, Mihaela was going to a house Christian fellowship in London. These meetings are common in London. Christians of all denominations get together to share and worship together. During one of these meetings, Mihaela met an older woman who wanted Mihaela to come stay with her. This elderly lady knew about the ex-boyfriend and even saw him continuing to stalk Mihaela while Mihaela stayed with her. But this brave woman said that she had no fear about it because she trusted God. Mihaela went on to share how she continually saw God’s provision for her while she lived in London. “I saw times in London when I had no money at all. There was a time that I was so short of money that I couldn’t afford to buy food either. One day, someone knocked at my door. It was someone from the church I was going to, she said, ‘I don’t know why but I just have this sense that I’m supposed to bring you this Tupperware with food’. But Mihaela’s biggest concern was for her family that she had left behind. She wanted them to know the freedom and peace that she had found in following Jesus. One day when she was taking a Bible class, the professor said that he had a sense that they needed to pray. A lady came to pray with Mihaela and prayed with her for her family. As she prayed, Mihaela was comforted with an assurance that God was going to work in the lives of her family members. Because Romania has very little opportunity for young people, much of Mihaela’s family is scattered around the world. Her sister lives in Italy and she has nephews in Denmark and London. Through it all, God is faithful. Though her family is scattered, Mihaela has seen God working in their lives. Her deepest desire is for them to know God the way that she knows him. She laughs about the stubbornness of Eastern Romanians, steeped in a rich heritage and slow to change, religious conversations are often difficult, but she sees hope. Many in her family are starting to see what she has seen and understand that they can have a real relationship with God. Mihaela continues to see God’s hand at work in her life, though she doesn’t have the same spiritual battles she once had. As she tells her story, at times she is overwhelmed with emotion because of the difficulties she has been through, but she doesn’t have a harsh word to say about anyone. She even forgave her ex-boyfriend before she left London. She still depends on God daily and it is obvious that she walks closely with him. She is starting a new adventure through enrolling at URI for a Fine Arts degree where she is seeking to further develop her artistic talents and share her love of God with others. I hope you enjoyed this story! I’d love to share your story! Contact me!! !